Who doesn’t love penguins? They are so adorable! 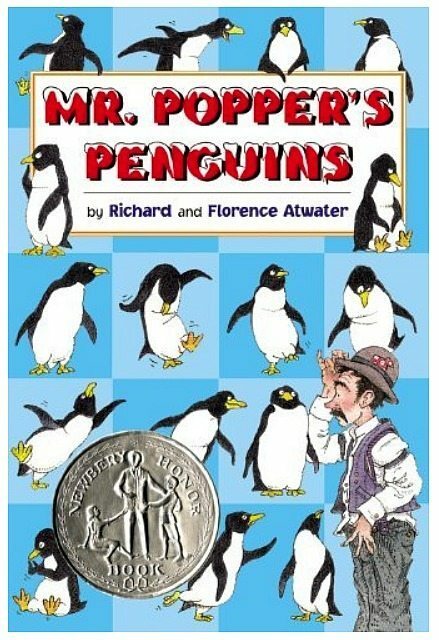 A great way to interest your children in reading is by reading a book with a fun topic like penguins! 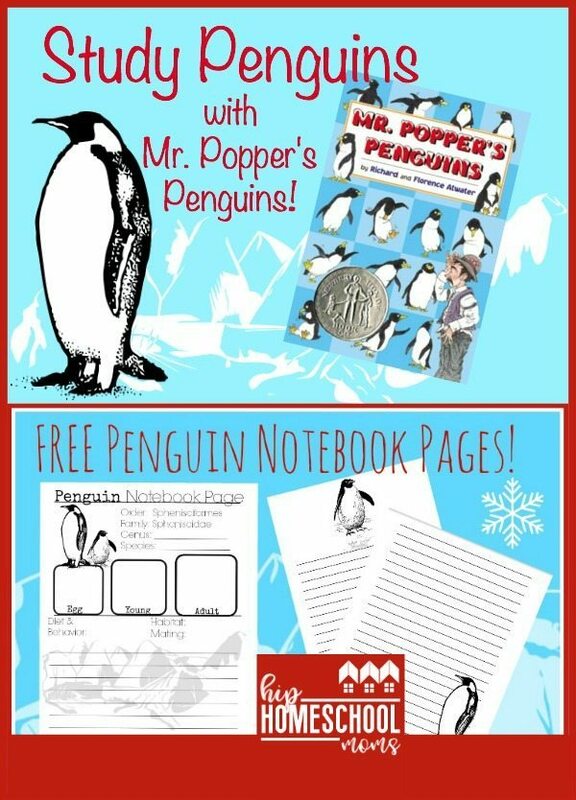 If you and your children haven’t read Mr. Popper’s Penguins, now is a great time to do so! If you have very young children, it’s a fun book to read aloud to them. If your children are old enough to read on about a 5th grade reading level, have them read it to you–or take turns reading to each other! And to go along with your reading, we’ve created a set of notebooking pages! Notebooking pages are a simple way to dig deeper into a topic. 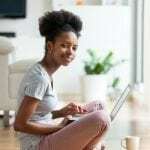 They provide some structure and ideas for extending your study of a topic, but they allow you to keep things as simple as you like (by answering the basic questions and keeping it quick and easy) or to dive in deeply (by doing more extensive research, answering questions more thoroughly, and maybe even doing some additional reading or research on the internet). To download the free 2-page notebooking pages, just click the image above or click HERE. The book is not included, but you can probably find a copy at your local library, or you can buy a copy on Amazon. And if you’d like to turn your penguin study into a unit study, we’ve shared some ideas below. What are penguins and where do they live? What do most penguins eat? How much do they eat? What sounds do penguins make? What are their mating habits? Do they nest? How do they care for their young? What does a penguin egg look like? 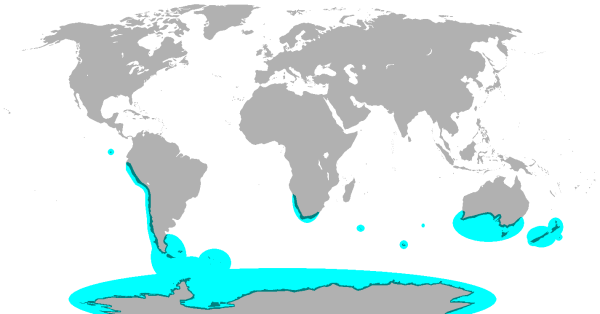 Find penguins of the world and their regions with this interactive map. Go to your local zoo and actually observe penguin behavior or observe African blackfooted penguins on the very cool Penguin Cam from Monterey Bay Aquarium! 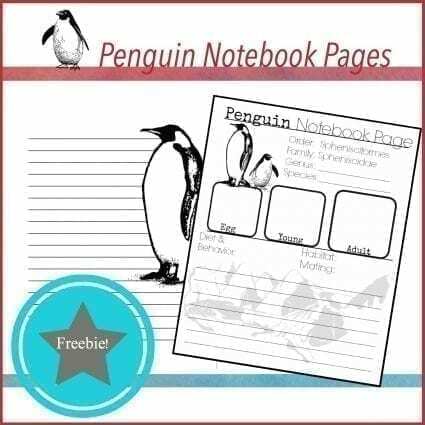 Kids can use these Free Penguin Notebook Pages to record what they’ve learned about penguins. Consider printing the penguin page multiple times for each species of penguin ( Listed above) and compile them into a penguin book. 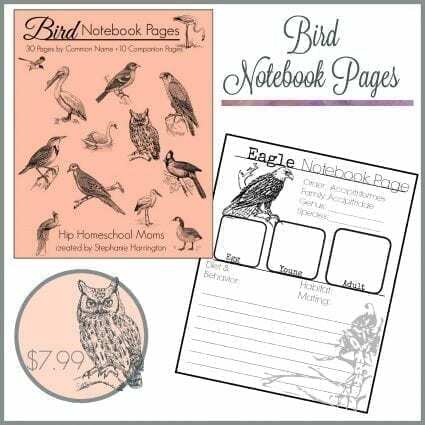 If you like these pages, you will love HHM’s nature notebook pages or our 78 page set of Bird Notebook Pages.